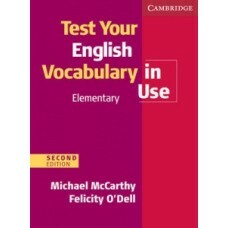 contine 100 teste de vocabular clasificat de CEF pentru nivelul elementar A2. cartea 'Test Your English Vocabulary in Use Elementary' poate fi folosita individual sau alaturi de componenta ei de baza 'English Vocabulary in Use Elementary'. 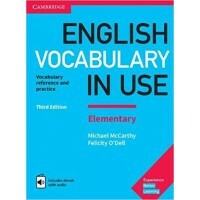 publicat la editura Cambridge, autori Michael McCarthy & Felicity O'Dell. 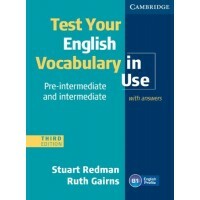 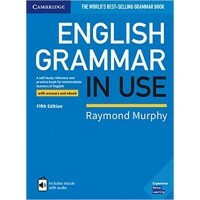 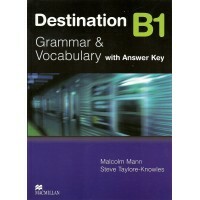 English Grammar in Use Book with Answers and Interactive eBook Self-Study Reference and Practice Boo..
Test Your English Vocabulary in Use Pre-Intermediate and Intermediate with Answerscontine 100 teste ..
Etichete: vocabular, elementar, editura, cambridge.